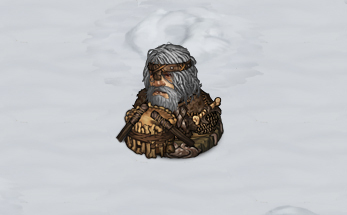 In part two we introduced three basic unit types of the new barbarian faction that is to claim the north in the upcoming ‘Warriors of the North’ DLC. This week, we take a closer look at their more specialized unit types. As always, keep in mind that things are still in development and may change. With that said, let’s go! As has been tradition for generations, larger parties of northern barbarians that go to war are often accompanied by drummers. In a sea of rhythmic tribal beats and chants, the barbarian mind will enter a trance-like state where there is only battle, and the barbarian spirit will press the body to its limit and beyond. As mentioned previously, barbarians have a very physical and fatiguing style of combat, and they don’t pace themselves well. They’re especially dangerous in the first few rounds, but if you can weather this opening onslaught, barbarians will then often find themselves exhausted. The rhythmic beats of the drummers will have barbarians press on to glory despite this, reflected in the game by reducing the fatigue of any barbarian on the field by a small amount each round. A barbarian can have their fatigue reduced only a single time per round, no matter how many drummers on the field, but it may be enough to give them the strength to use an additional skill, which makes them all the more dangerous. It’s worth considering, therefore, to make drummers a priority target – even if they themselves are unlikely to inflict any damage on your men with their wooden drumsticks. Beastmasters are revered for their druid-like abilities to control the biggest natural predator of the north – the unhold – and lead them into battle as living and breathing war machines. 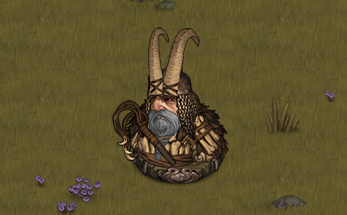 They wear ceremonial helmets with long horns and decorate their armor with animal bones, but their most useful tool is a thorned whip with which to exert dominion over their beasts. In battle, the beastmaster will always appear with one or more unholds. 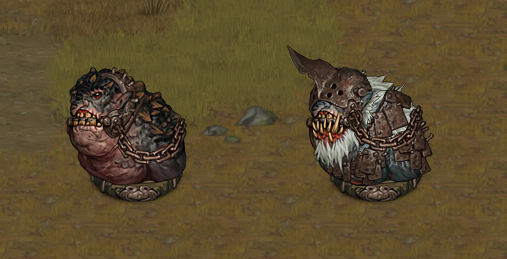 These mighty beasts can wear anything from a simple metal harness and chain, to be controlled more easily, to having metal plates nailed right onto their hide – something possible only due to the unhold’s uncanny ability to quickly heal any wound, even during battle. A beast armored like this can be impossible to bring down if you’re not equipped both for handling massive amounts of armor and health at the same time. Every turn, a beastmaster cracks the whip to direct their beastly warmachines to do his bidding. However, a beastmaster can not do so if anyone is in their zone of control. And they very much can’t do so, if they’re dead. 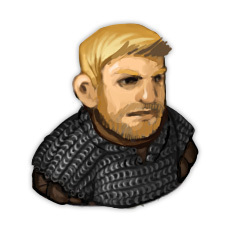 If an armored unhold doesn’t get directions from any beastmaster, they become confused, and every round there is a chance that they become feral, change to the beast faction, and attack player and barbarians alike in a mad rage of befuddlement. Looking forward to get rolled by these toys. Any chances to adress Range&LoS exemptions for the effects like spells and skills? So here’s a question: are those drums lootable? Like, can you have your own wardrummer?